Great for Price Tickets, Descriptions, Photos, etc. 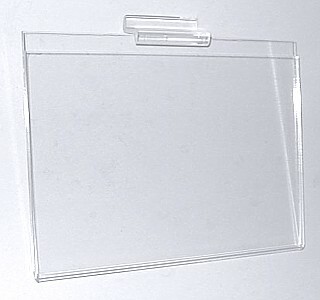 The SF3555 is a Clear Acrylic Sign Holder Frame for Slatwall / Slotwall to Hold Small Inserts Such As Photos, Price Tickets, Descriptive Text, Name Tags, etc. Hand Manufactured from Sturdy Crystal Clear Acrylic, This Plexi Signholder is Durable and is Built to Last. These Slatwall Frames Fit Into Standard Slatwall.